REEF-ROIDS although originally engineered for feeding the Goniopora genus, this product has been very well received in the hobby as an excellent food source for all filter feeding corals. The particle size of REEF-ROIDS is around 150 - 200 microns. This is an ideal size for Goniopora and other filter feeding corals to feed on. 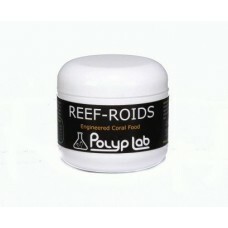 When using REEF-ROIDS, you will notice excellent polyp extension on all filter feeding corals. Zoanthids, Mushrooms and Ricordia will demonstrate a distinct feeding response. And with continued use, your filter feeding corals will experience faster growth and better colors.